Meat grinder parts, Marine hardware, Building hardware, polishing, Stainless steel precision casting. investment casting, lost wax casting, machining, castings, precision Foundry. Investment Casting in China Changrui factory uses precision lost wax casting process and machining & surface treatment technical to produce thousands of metal lost wax casting parts with the materials carbon steel, stainless steel, heat resistant steel, alloy steel, low alloy steel, High temperature alloy steel, aluminum alloy, copper alloy, high chromium cast iron and ductile iron. 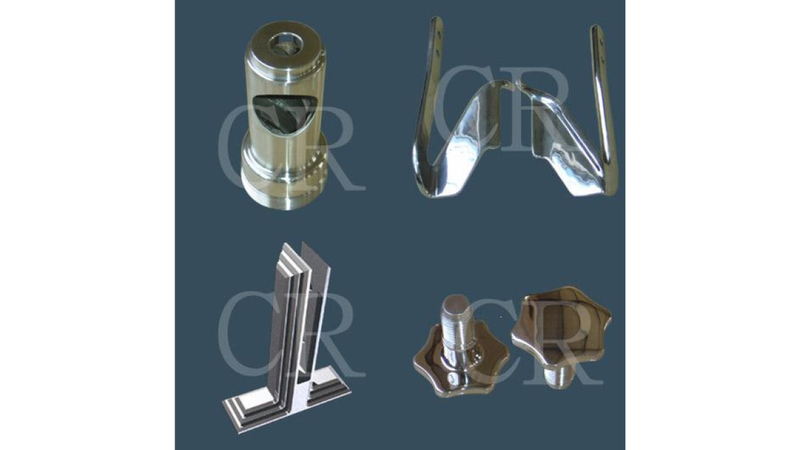 Changrui Investment Casting Company is one experience castings manufacturer who uses the lost wax- silica sol shell craft (the quality of this kind of castings superior to the water glass craft castings) and Changrui is good at producing and manufacturing&apos;s the complex metal precision castings. Changrui lost wax casting process & machining perform ISO 9001:2000 system strictly to guarantee the requirement of customers, now Changrui has put ISO/TS 16949 into operation.Changrui lost wax investment casting process and machining with an output 60 tons per month precision metal castings including lost wax castings, precision machining parts and surface treatment metal products exports to all over the world.Products: fluid chemical machinery parts, food machinery parts, building hardware components, heat treatment equipment parts, weapons parts, hydraulic pneumatic machinery parts, Marine equipment parts, kitchen utensils parts, hardware tool parts, medical equipment parts, sports equipment parts, the measuring equipment parts, instrument parts, auto parts and other precision mechanical parts, packing equipment parts.